As a doctoral candidate, researching Revisionist Zionism in America during the 1940s and the campaign there to win public support for Israeli statehood, I conducted a series of interviews, at first by phone and later in person, with a number of high profile individuals: an Israeli head of state, ambassadors, Israeli industrialists, philosophers, Irgun and Lehi operatives, Haganah members, a Jerusalem mayor, authors, and conspirators of political assassination. The initial interviews went well. Prime Minister Yitzhak Shamir spoke with me several times and invited me to Israel. I declined but reserved the possibility. 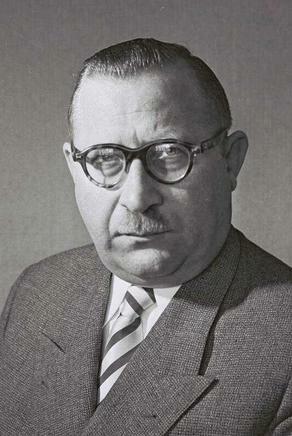 Shmuel (“Mooki”) Katz (Irgun High Commander, Knesset member and author) likewise participated in a series of interviews, also suggesting I come to Israel. He insisted that I get in touch with Benzion Netanyahu (father of the current Prime Minister) for an interview and gave me his contact information. Upon connecting with Benzion my telephone progress was halted. He presented me with an ultimatum. If I was serious about my work, he said, I would need to meet him in person, either in New York or Jerusalem, my choice. The last time I had been in Manhattan I was attacked at the corner of East 6th Street and Avenue A on the Lower East Side, in broad daylight, my assailant smashing my head into a public mailbox. I swore never to go back to the City. Therefore, I committed to meet Netanyahu in Jerusalem. This was actually a blessing in disguise, as it opened many doors for interviews, including another with Shamir in his office at the Knesset. I was told by him that I must interview Dr. Israel Eldad, the chief ideologue of Lehi, the extreme wing of the Jewish underground. Thus, I contacted Eldad and was invited to his home on a quiet side street in the heart of Jerusalem. The following are excerpts from that interview. Eldad: My political activities started in 1935, after I finished my studies in Vienna. I studied philosophy and at the rabbinical seminary. In 1935, I came back to Poland. I started to work as a teacher in a high school in a shtetl. It is called Volkovisk – in the northern part of Poland. 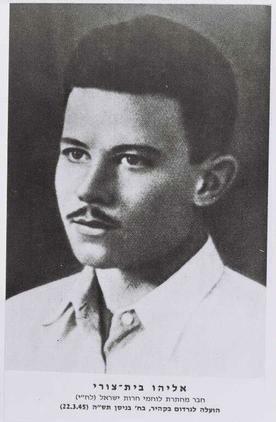 Yitzhak Shamir was the commander of the Betar movement there. He asked me to take over the command of Betar. And there I was in Betar, and there I was in the underground. From the beginning, he opposed the efforts of Keren Kayemet Yisrael, the Zionist organization which sought to purchase a homeland in Palestine, instead favoring statehood attained through military action. Eldad: I was already in opposition to the Zionist Organization, even known as a really radical opponent. Keren Kayemet Yisrael was the front to buy land. And I was ideologically against buying land. I wrote columns against Keren, the way of buying a homeland. You have to conquer the land! Not buy it! If you buy, today, all the houses of New York, you will not create a Jewish homeland, a Jewish state! 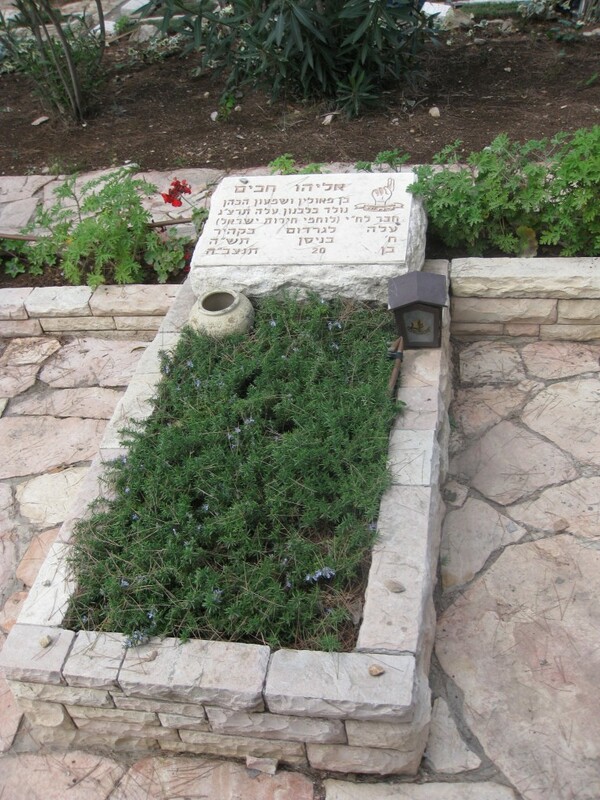 Eldad made aliyah to Palestine and joined the underground there. Eldad: I was responsible for the ideology and propaganda for Lehi. I came straight from the ships to the Stern group. I was a teacher in a high school, in Tel Aviv. From 1941 to 1944, I was in prison. Saidel: You were arrested by the British? Eldad: I don’t know how the British knew! I had just finished a lecture about Job. I had a lecture. About Job! How he suffered. Then they came in to arrest me! Of course, three or four weeks before, Yitzhak Shamir, who was the commander of Irgun, of Lehi, warned me that I am on a list of the British police. Eldad remained in Latrun prison for two years before escaping. He held strong Zionist views, particularly regarding borders, the right of return, and whether Israel should be a democracy. Eldad opposed dividing land by lines drawn in the sand, preferring natural boundaries such as rivers and mountains. He believed in the Biblical Promised Land, stretching from the Euphrates to the Nile, and warned that borders drawn up by conquering empires, using straight lines as boundaries, were destined to fail. The borders of British Mandate Palestine exemplified his point. Eldad: These borders were made by the French Empire, with the British Empire – which they took over from the Ottoman Empire in the Middle East. And they were made in a geometrical way, borders, lines like the conquest in Africa. No natural borders. No historical borders. No practical borders. The borders have to be all natural, like rivers, like mountains. Abraham made his covenant with God, and God promised him to give his covenant to his children and his grandchildren. And these are the borders of the country, between the Euphrat and the Nile. Although it is a promise by God, even so by nature! Between two big rivers. Big rivers are natural. God is from time to time geopolitically minded! Once the dream of reestablishing a state was fulfilled, there was great controversy over the type of government the new entity should have. 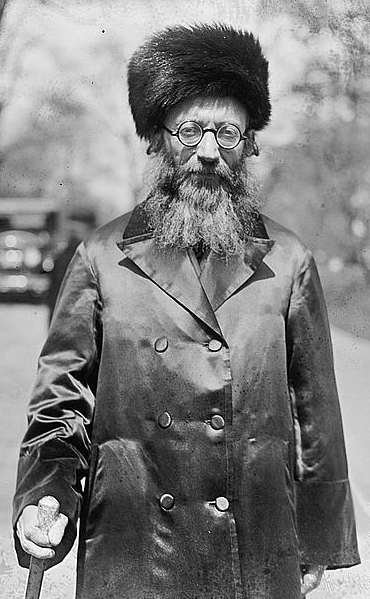 Some, like Hillel Kook, nephew of Abraham Isaac Kook, the first Ashkenazi chief rabbi of British Mandatory Palestine, believed that Israel should have a democracy similar to America or European nations, a position held by many Israelis today. Eldad considered Kook’s democratic, secular, anti-Zionist position a shocking disgrace to the esteemed Kook family. Eldad: I will never forget this. Hillel Kook! A member of the family of the greatest rabbis in our generation! The Rabbi Kook will be mentioned in the history like Maimonides! From Maimonides to him (Hillel)! 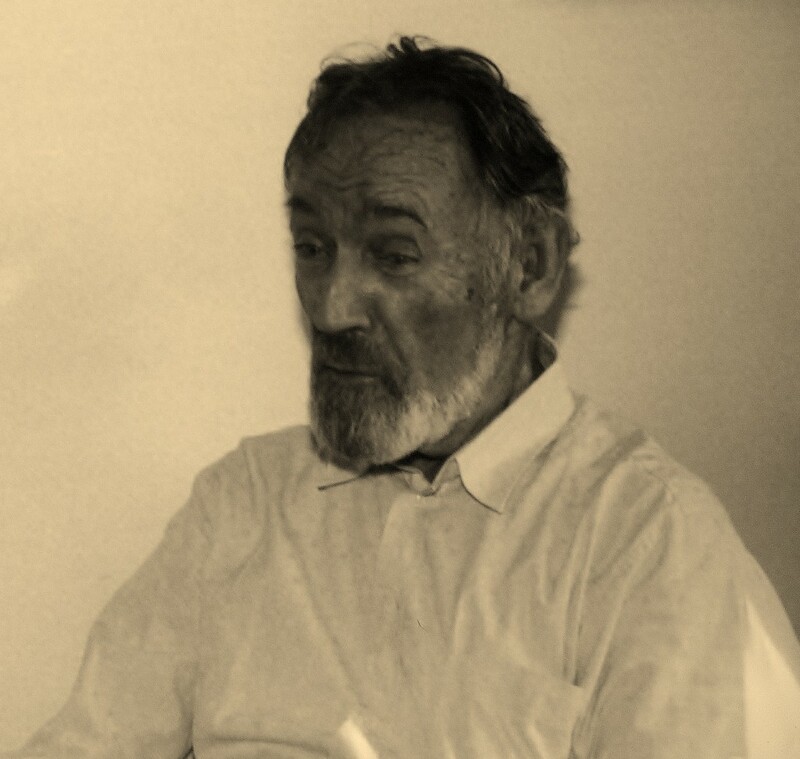 Eldad believed that, whether Israeli Jews want to accept it or not, they are bound by their unique peculiarity to exist under a political system different from all others. Eldad: It means that we are abnormal people. We are not a normal people. Maybe somebody does not like abnormality, somebody likes, some do not like, it is a matter of fact. We are abnormal people. All of our history is abnormal! Eldad: I answered him secretly, I don’t know about God but without believing in God it would be impossible. This is some existential matter believing in God. It means believing on the power which is not dependent on nature. Regarding nature, we should have disappeared! No reason for our existence! There is something which is not reason. Many people can not understand our existence. This abnormality is not limited to survival. It includes miracles. Eldad: Jerusalem is for all religions. A holy city for all religions. Christians believe that here in Jerusalem happened miracles. Jesus – that here he was crucified and here he came alive. Crucified is a historical possibly, that he came alive it is a myth maybe but they believe in that. There is a wonderful story about Stalin. When Stalin died the Russians did not know what to do with his body. They asked the world who will volunteer to take his body. Ben Gurion sent a telegram: I will be happy to bury him in Jerusalem. After an hour came the telegram from Moscow. No! You have resurrections! Eldad pointed to further abnormalities. Eldad: For the Muslim, Jerusalem is holy because the dream of Mohammad. El Barrack on the mount of the hill. A dream! It is holy because of dreams! Israel is an abnormal state. It is a state, an abnormal state. David Ben Gurion, 1948, 600,000 Jews were here. He created the state for 600,000 Jews. He created the state for millions of Jews which he wanted and believed in. And this country was, from the beginning, created for the people which are not here! Eldad continued our interview with a lively discussion regarding the validity of Zionism vis-a-vis democracy in today’s world. Hillel Kook had told me that he was anti-Zionist because the State already exists, negating the need for the Zionist movement. He believed in democracy and rejected a theocratic government in Israel. I asked Eldad for his opinion on the matter. Eldad: First of all, Zionism by itself is not so democratic — because we Zionists, beginning with Herzl, we did not ask the Jewish people all over the world, the majority of them, if they want to come back, if they want Zionism. I am not sure the majority want Zionism. The Jewish socialists in the world, and there are plenty of them, are against Zionism. The Jewish autocracy was against Zionism because they believe in the Messiah. The Jewish assimilating society are against Zionism because there are not a nation of God. Two days before it was published in the Times there was a big announcement from the Jewish community against, not to proclaim, the Balfour Declaration – because we are not a nation! We are British … and so on. They are against Zionism. The majority of the Jewish people are against Zionism. Zionism was a minority. A second wave, it was democratic. I spoke about that in one of the committees of the Knesset. There is a difference between democratic Zionism and Zionist democracy. These are two concepts. I have to distinguish between them. When I say I want a democratic Zionism that means if the state of Zionism is not democratic I don’t want it! It’s a condition. The democracy is a condition of the state of Zionism. When I say I want a Zionist democracy, it means it is a condition. Zionism is a condition of the democracy. You got it? If the democracy here is Zionist, I’m a Zionist, I’m a democrat. For example, we have the Law of Return. I don’t know if Hillel Kook is for or against. I think he would be against the Law of Return. This is anti-democratic. You know what the Law of Return is? Take, for example, if America passed today a law. Immigration is allowed only for Catholics. Not for Protestants. The law of return of Catholics, not Protestants. It wouldn’t be allowed. It’s anti-democrat. But we must do it because our problem was unique! Our problem was ethnic! 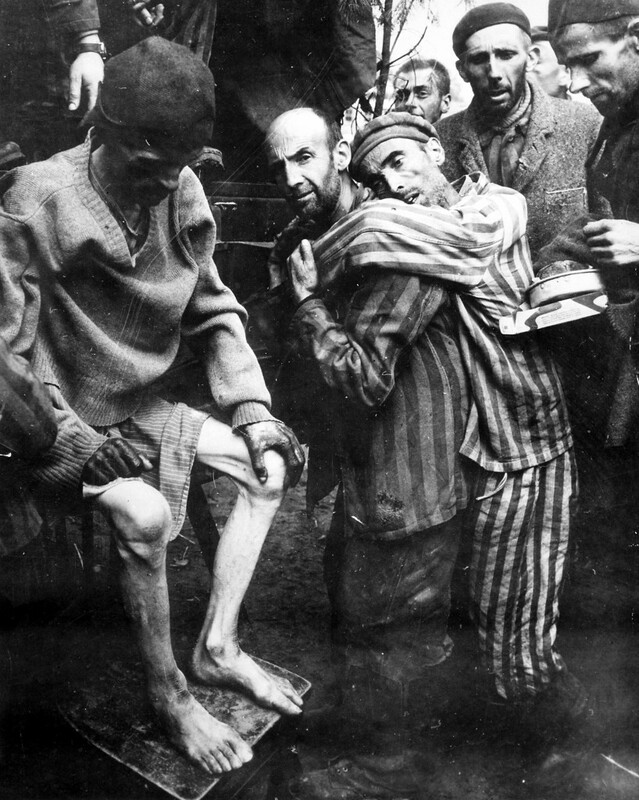 This ethnic problem manifested, in modern times, in the chaos of Holocaust era exterminations. The critical conditions actuated the Herzlian belief, “‘If you will it, it is no dream; and if you do not will it, a dream it is and a dream it will stay.” Spurred by the atrocities of Hitler’s concentration camps, the Irgun and Betar went to extremes to put the dream into action. Eldad: This is the idea of Zionism: to bring back the Jews from all over the world. In 1938-1939, when I worked in the Irgun and Betar, we had then the idea at that time, which sounds terrible, to look for ways how to take a million Jews home by force. Take them out by force from Poland, bring them to Palestine. By ships. Through Rumania, through Italy, by force. To confiscate their money – of a thousand Jewish millionaires and with this money to take out a million Jews. Not asking them. To take out their children by force at that time – which was a terrible idea even after six million Jews and Auschwitz. Today it sounds terrible, horrifying. But this is history. There was a danger to their existence! That means a democracy is a function of a situation – of time and of space, there and then! While being a solid Zionist, Eldad loved democracy. Eldad: It’s a wonderful idea. Personally, individually. Of course I want to be in a democratic state! I can speak! I can write! – but the problem is not of the individual problem. The problem is collective, particularly when the collective is in danger, as in time of a war. Most of the goyim, they hate us. Trumpeldor used to say they hate us because we crucified Jesus. The truth is they hate us because we gave them Jesus. The Jews brought to the world the conscience, the moral, and this the goyim can not stand. But this is a matter of fact throughout all of our history. We can not live without saving all the world. Some Israeli leaders can not live without creating a Palestinian state for the Arabs. There are only 22 Arab states in the world! Terrorists really, the terrorists will create a Palestinian state. The British, the Jordanian, Abdullah, we have to create it for their mistakes. What they will do with a state, that we know. It gets complicated. 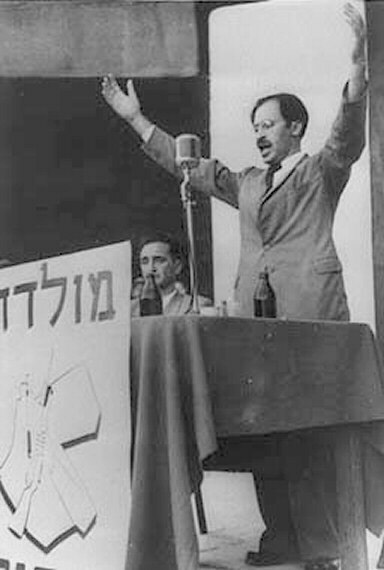 As Eldad wrestled with the state of Jewish conscience, he also considered the effect of religion on Jewish national life, debasing Hillel Kook’s anti-Zionist position and calling him a Canaanite, a reference to pagans of the pre-monotheistic period. Eldad: We have such an ideological group – poets, writers, Canaanites. We have to create. We have to recreate. We have to go back to the time our disaster was our religion. This was our disaster?! This brought all our disasters upon us?! Therefore, (we need) to be free from religion?! To make us free from the religion – to be natural, to be a normal people. We are not normal with our religion! And then, which Judaism to come back to – Talmudic Judaism? Prophetic Judaism? We will come back to the time before we were monotheistic, or religious at all, therefore the Canaanite. Hillel Kook is somewhere not far from that. We have to be a nation, without a religion? And maybe it is good. I don’t know. But it is impossible. Just impossible! Even if it is good. It is just impossible. Therefore, it is impossible physically, because there is still the majority of the Jewish people all over the world. And the only thing that makes a connection between an American Jew and the Jew from Australia, or from Hong Kong, is Shabbat, or Yom Kippur, or the circumcision, more or less, or some religious signs. Take it out, it is nothing to do with them. It means a break with the Jews all over the world and even spiritually impossible! Because we have four thousand years of culture! You can not change it by the decision of Mr. Hillel Kook and some two or three people who make a congress! Impossible! I had, last year when I was in America, a job in which I must contact the reform movement. Yom Kippur and Rosh Hashana it is closed because of the holy days. But still, regardless, they are not religious but still because of the holy days it is closed! By comparison, Hillel Kook’s position seemed both contradictory and hypocritical. He fought ardently for a Jewish State. He put full effort into saving the stateless and homeless Jews of Europe during the Holocaust. He fought for a Jewish army. And then he decided that he was not in favor of Zionism and that he wanted a democratic state. It may have seemed idealistic and expedient at the time but it was a near-sighted plan which could only end in assimilation and radical demographic changes, threatening the existence of a Jewish homeland. 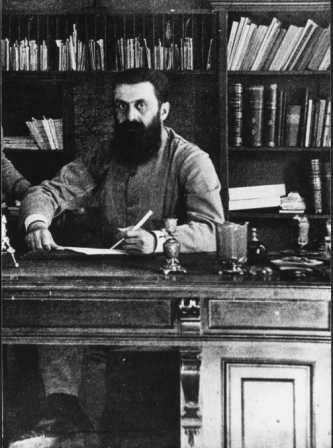 Eldad believed that Kook’s concept could be referred to as be a “limited democratic state”. Eldad: You know, between the first aliyah and the second aliyah, ’94, ’95, there came Jewish socialists who were disappointed with the socialism in Russia, and came here — really Marxists and socialists. The first thing, economically, that was to be done was to make a Jewish economy, with Jewish workers. If you have the workers, you have the people, you have the nation. But the workers were Arabs. They have to throw out the Arab workers! No. Rather, one the principles of the socialism is internationality. Prolets of all the countries unite! This is Marxism! Proletariats of all the world united. Jewish socialists have to throw out Arab workers. Paradoxy! They were first of all Zionist, in the Zionist cause, not to make a socialist country of the Arabs, but a Jewish country! Socialistic, capitalistic, but a Jewish country for the Jewish people. Therefore, if democracy served me, why not be democrat? But sometimes it is impractical, impossible! If we had elections, for all the democrats back several years ago, the Arabs would be a majority. Then what would happen to the Jewish state? That means I am compelled with a Zionist task, to bring here three million Jews, to make Jews to no more live in danger of shmud, of conversion, because this is a paradox. Of course we don’t want to be exterminated! Therefore, we want to have a democracy as in America, democracy as in Russia, democracy with egalitive rights. But, if you live in a place where you want egality, you start to have assimilation. If you’re free, this is the extreme between physical extermination or spiritual assimilation. Therefore, Zionism came in the midst, between these two possibilities, to look for a way out. Physical extermination versus spiritual extermination? Having been the world’s scapegoat time and again, it is necessary, in this abnormal state, to guard against both, while simultaneously working to attain some modicum of normality in the modern world. Eldad: Spiritual extermination? Not here, there. Here we want a normalization. And here of course there can be wars. But the difference between being killed in a war or being killed in Auchwitz? It is not the same thing! I was with a group in a seminar about Jerusalem, at the Herzl tomb. And I showed them. You see here and there? On your left, you have Yad Vashem, on the right you have the military cemetery. Genius! The architect was a genius. They are killed, and they are killed, but the difference if you are killed by fighting for freedom for your country or by Auschwitz? I remember my brothers. There was a parade surrounding the Old City. I saw my two brothers, who were killed by the Nazis, and I saw them physically – like they were marching with the soldiers, because I am living all my life with the idea that if we would have a Jewish army in 1939, there would have been no Auschwitz. And Auschwitz doesn’t mean 6 million Jews, it means 20 million Jews. My brother would have children and grandchildren. After a great deal of discussion about this and many other things, we ended our interview by recounting some of Eldad’s more notorious undertakings. Saidel: Can you tell me about the Moyne assassination. Why was Moyne singled out? Why was he picked for the target? Eldad: Yitzhak Shamir and me, we decided…to put him to death. I don’t remember exactly the street….I went with Yitzhak Shamir. He was in the underground. He (Moyne) was, before he became Minister of the Middle East, he was the Minister of the Colonies in the British domain. He was personally a great anti-Semite. He said, you have to take out all the Jews to send them to Madagascar. The solution was Madagascar. And he was responsible for the Struma. You heard of the Struma ship (781 Jewish refugees and 10 crew members drown). He forbid the Turks to let the Struma go to Palestine. Then he was made Minister for the Middle East in Cairo. 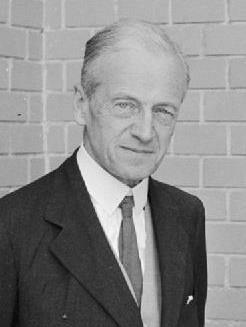 He created the Arab League, in 1944, and then a Jew by the name of Yael Brand was sent by Eichman in 1944. There was a committee for the Jews in Budapest and Eichmann met him. They needed money, they needed to get money, the Germans and the Nazis. And some of the Nazi leaders, with Eichmann, they looked already in 1944 for an Allied deal – in case the war would be finished. And they took over Hungary, and they said Jael Brand was sent here with a proposal – for 10,000 buses we will send out a million Jews from Hungary. And he was caught by the British in the train, he was brought to Cairo, and was brought to Lord Monye; and Eichmann gave him 12 days. I will wait 12 days for an answer and then I will take out Jews every day to Auschwitz if I have no answer. And in the Eichman trial Brand told the story. Lord Moyne said to Brand, A million Jews? What I will do with a million Jews? I have nowhere to put them. Only Hitler knew where to put six million Jews. The Minister of the Middle East, of the British Empire, didn’t know where to put them! Brand witnessed this at the Eichmann trial, this story. And I was asked, Will you send to kill Lord Moyne? They knew the answer. I said, No. But they knew this answer. But he is responsible for the White Paper! And he is responsible for the ships that are drowning in the Middle East. It is enough for us! Therefore, we took the two boys, and sent them. They were hanged. Saidel: So was there a plan for the escape of the two men? Eldad: For the two men, ya. Saidel: Because Abba Eban told me that Yitzhak Shamir was directly responsible for the death of these two people. Eban said that Shamir knew that they would be killed. Eldad: What did he know? We sent them, the two of us. Together we decided! I know the exact place. I remember where we strolled at night on the street in Tel Aviv. We were underground. Then decided to, he too, I was responsible politically and ideologically. He was responsible, Shamir was responsible organizationally. And prepared the two boys, with all the instructions. Saidel: Shamir told me there was a plan for their escape. Eldad: Ya. Through the market. To come to the market. They were on bicycles… on bicycles… but because Bet-Zuri fell down off the bicycle and Zakim wanted to help him, and the other thing, there was a policeman, an Egyptian policeman, which shot them. They had instructions not to kill, not to shoot an Egyptian. Not to shoot! They send us to kill the British man. Not to touch the Egyptian. And the Egyptian policeman run after them and wanted to get them, and if they could shoot, maybe they could escape! But they were not allowed to! The commander, Shamir, commanded not to touch, not to shoot an Egyptian policeman! It was his personal direction: Don’t touch an Egyptian policeman! Only the British. They could escape! If they would shoot the Egyptian policeman. They didn’t shoot him. Therefore they were caught. They had fifty meters to the market, to disappear in the market, on the bicycles. Saidel: I see. Now Abba Eban told me that because of the murder of Lord Moyne there was a partition – there was supposed to be a partition plan…. Eldad: We know the story. This is a very stupid idea because it was 1944. Four and a half million Jews were already killed. There was a plan made by Churchill, and Moyne was supposed to agreed with them, that after the war they would make a partition in the State. Who needs it after the war! This is parodoxic! That Lord Moyne agreed after the war – they’re killing millions, bringing out more every day, and he is saying that after the war they will seek about the possibility to make a partition! We know about the decision of the British government to, after the war, to take care about the Jew – the Palestine problem – to solve the Palestine problem, so a partition. It was a … ’44 or ’45. Saidel: Ya. It was supposed to come up in December, of 1944, the plan was supposed to… it was tabled by Lord Moyne. 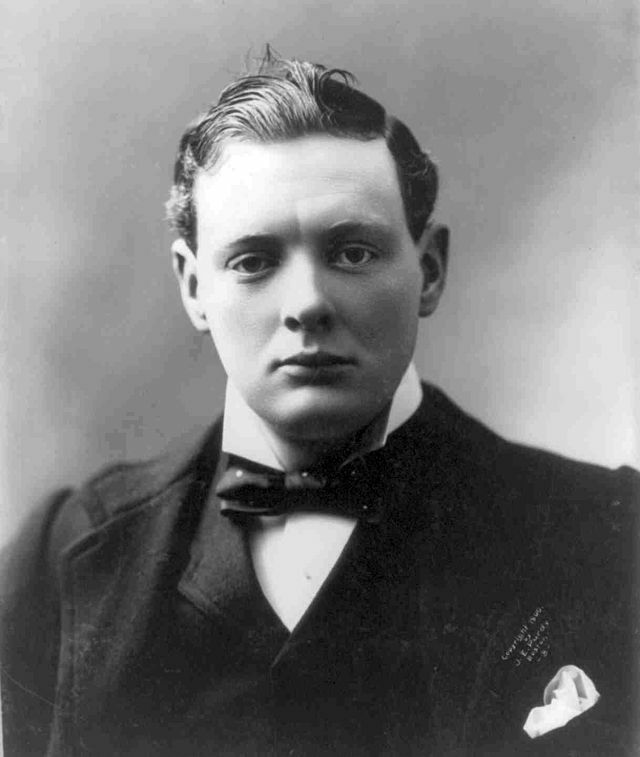 Eldad: Winston Churchill was supposed to be a big Zionist, a big friend, the most, the most terrible murder of the Jews happened when Mr. Churchill was Prime Minister. He was Prime Minister during the Holocaust! A matter of fact. Eldad: I was at Latrun at the time. I was in prison. And the people who were at Latrun were of the Irgun. It started. The “Season” started just after Lord Moyne was assassinated. (The Hunting Season or La Saison was the name given to the Haganah’s pursuit and arrest of members of the Irgun, whom they hunted down and turned over to the British.) Begin was against us. He was against individual terror. You know what individual terror is. It’s a concept of the Russian Revolution – to shoot persons – the Czar, the Governor – to shoot a person – Kennedy – it’s an individual terror. The Marxists were against individual terror strikes – to make a revolution, some strikes, but not to shoot personal people. A week after Lord Moyne was assassinated Ben Gurion gave the order to make the “Season,” to cut off the people of the underground. But not us. Only the Irgun, the men of the Irgun. Eldad: I was in Latrun. Nathan Yellin-Mor, the third man of the Lehi movement, met the head of the Hagannah, Eliyahu Golomb. He came in the room …to the table. He did not say a word, just smiled. That means that if you touch our people, we are the Stern group, we will kill your leaders. Without saying a word. That was the concept of the Irgun people in Latrun. While Eldad supported political assassination and war against any enemy, including other Jews (such as the Haganah during the Season), he had opposition from Menachem Begin, leader of the Irgun – who was responsible for the bombing of the King David Hotel and other military actions against the British. 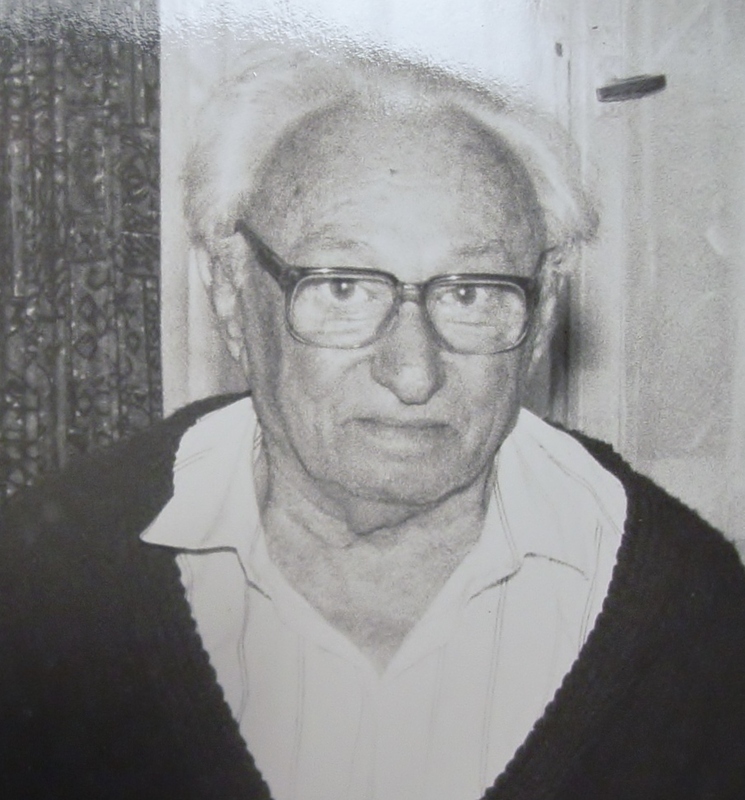 He refused, however, to fight against other Jews, particularly during the Season and during the Altalena affair when Ben Gurion sought Begin’s life in order to consolidate power. The fact that Begin instructed his men to refrain from violent resistance prevented civil war. Eldad: Begin proclaimed, you are taking hundreds of our people. We will never make a civil war. Our people have to suffer and not to kill. Not to shoot any men of the Haganah. It (civil war) means a destruction from destruction, no state! Therefore, I made a mistake, Begin was right at that time. This late admission evolved from a combative position which Eldad held throughout his life. Eldad: Jews are liberal, anti-terror, it (killing) is not a Jewish matter. Why not? In the Bible God said to David, Go and kill these people! God said to Joshua, Now conquer the country! The liberal Jews they became very humanistic. These Jews are not allowed to kill Palestinians, Arabs. How can we as Jews kill? and so on. This is true. It’s terrible. But the Americans, the Air Force, bombed German cities and killed thousands of innocent children and women and nobody came after them (saying) how they can kill children! Saidel: Who’s responsible for the Count Bernadotte assassination? Eldad: Lehi. Me personally. Because I suggested it. (He came) in 1948 to make peace, he was the peacemaker. I told you, from all the peacemakers we had all our disasters! Our disasters came from all our peacemakers! So Bernadotte came here to make peace between the Arabs and Israel. And to make peace between the Jewish and the Arabs we have to give out! To give out. To stop the immigration; and the Negev, and Jerusalem, even the west in Jerusalem, to give to Transjordan, to give to Abdullah. At the time Abdullah was still alive. 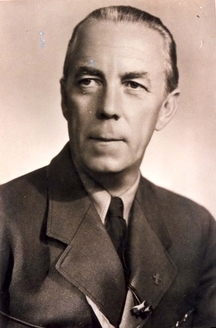 He was really a spy, Bernadotte, with the British intelligence service. And he was sent. The British wanted to have back some parts of the country after they were thrown out. Especially they were interested in the Negev because it was a connection between, they were still at the Suez Canal, a connection between the Suez Canal and Transjordan, which belongs to them de facto. Transjordan – all the kingdom of Jordan. And so it was his plan to take, at that time, the best of Jerusalem. At that time, 1948, there were 60,000 Arabs in the Old City, 100,000 Jews in the rest of Jerusalem. And he said to give up all of Jerusalem to Abdullah! Then I suggested to cut his programs, to cut his life. And it worked! I was responsible only for the idea. Yitzhak Shamir, as I told you, was responsible for the organization. As controversial as these political assassinations were, and to some extent still are, it is difficult to imagine that the Jews of Palestine would have broken away from the British and created a State without the activities of the Irgun and Lehi. Israel is an abnormal country. Due to this abnormality, it must establish an abnormal, yet exceptional, government. In that government democracy must be upheld with the greatest determination but the limit of this democracy is that a Jewish majority must be maintained at all costs. It is possible to do this within certain confines. Arabs and other minorities within the country should be semi-autonomous, yet unable to control the country through demographic change or undue political representation. Where you have egality you have assimilation. National boundaries are inherently natural. A set of lines in the sand will never work. The belief in God, on a national level, has held the Jewish people together for thousands of years. Individuals have the free will to accept or reject this belief, but it is incumbent upon the nation to hold to the beliefs of Judaism or lose its national identity. From all the peacemakers we have had our disasters. Beware of the peacemakers! Peace from strength, never from weakness! This article was reprinted by permission of the Times of Israel.